It takes a lot of work to stay on top of the wants and needs of cruise passengers around the world, and that is exactly why Carnival Cruise Line is bringing seven ships into dry dock this year for upgrades and retrofits. 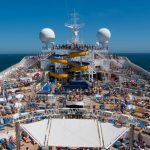 The ships seeing changes will include three Fantasy-class, one Spirit-class, one Conquest-class, as well as the Carnival Splendor and the Carnival Triumph. Currently, the Fantasy is the oldest ship in the Carnival fleet so she will be the first to reach dry dock and begin upgrades in 2019. This massive process will be completed in just under three weeks and will include a great deal of maintenance and technical updating as well as the addition of more modern fixtures in the staterooms and in the public areas of the ship. If all goes according to plan, the Fantasy will be back in service before the end of January. 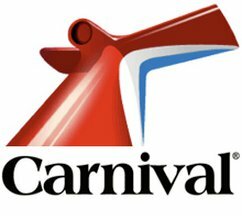 The Carnival Pride will be arriving in dry dock in early February and will spend just two short weeks out of the normal travel rotation. This ship has already been updated with the 2.0 FUN features so most of the care and updates will be behind the scenes. But passengers will also notice some new and modern touches in the public areas of the ship. Freedom will begin her dry dock visit in mid-February and be completed in early March. All of the regular routine maintenance will be addressed as will the installation of new carpet, tile, and decor. 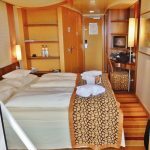 There will also be some great new updates made to the staterooms. The Triumph will spend almost two full months in dry dock in Cadiz, Spain and she will leave a new ship or almost a new ship. 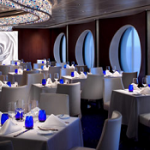 This multi-million dollar transformation will not only update almost everything you can imagine on the ship but it will also get her a new name. 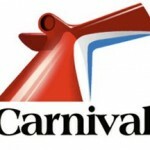 When the ship departs Spain on April 28th, she will officially be known as the Carnival Sunrise. New restaurants including JavaBlue Café, Fahrenheit 555, Bonsai Express, The Chef’s Table and Cherry on Top will all be added to the Sunrise. In addition, there will be four new bars and an adults-only Serenity Retreat. Kids of all ages will love the SportSquare which offers a suspended ropes course, basketball courts, a jogging track, foosball, pool, and a miniature golf course. And every new ship needs a new WaterWorks! The Sunrise will now feature a 203-foot long Aqua Tunnel water slide and a 212 foot long Twister slide. 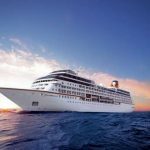 After all of these great additions and upgrades, the Sunrise will begin five and seven-day cruises out of Norfolk beginning in late April. The Ecstasy will spend less than two weeks in dry dock in October for regular maintenance and a few upgrades to the paint, carpeting, and décor of the staterooms. The Imagination will spend the end of October in dry dock for upgrades to the staterooms as well as the common areas of the ship. Then she will be back to her regular sailing schedule on November 2nd. 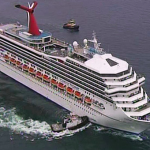 The Carnival Splendor will begin her dry dock in late October and will then relocate to Sydney to begin her new cruise schedule in December of 2019. In just under a month the Splendor will receive a new water park and an assortment of new pubs and restaurants to greet her new passengers down under. 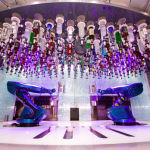 All of these upgrades mean that passengers will be enjoying a brand new look on these seven ships and even one huge transformation complete with a new name. Carnival Cruise Line is bringing seven ships into dry dock this year for upgrades and retrofits. ← What Does the Dreaded Code Red on a Cruise Ship Mean?